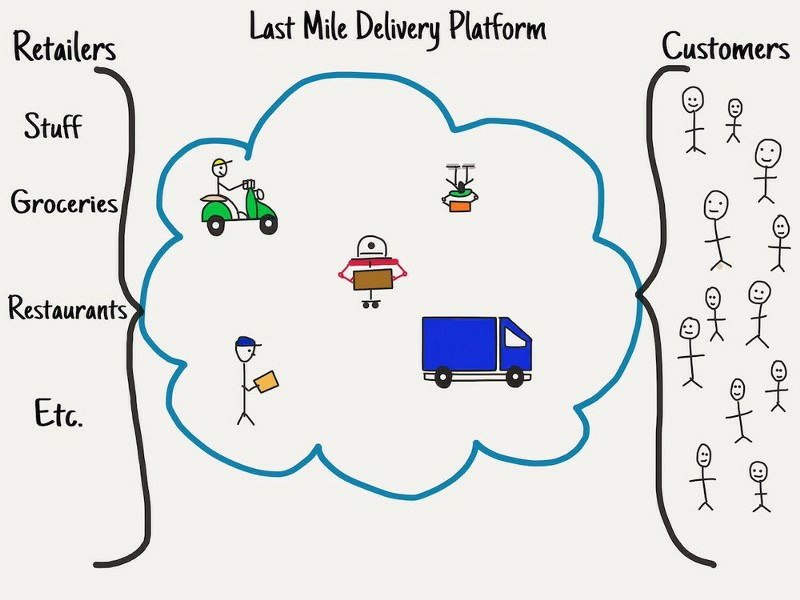 Your one-stop access to the most useful and up-to-date articles, tutorials, reports and case studies on Last Mile Delivery - Disruptive Innovations & Technology in Logistics. Crowd-shipping is a type of business in the sharing economy that is rolling out the ambitious plan to use amateurs to deliver packages and merchandise more quickly and cheaply than FedEx, UPS and the Postal Service. It offers a new way of logistics, whereby anyone can fulfill other users’ needs of deliveries. The success of the Uber model is now being applied to the larger world of logistics, and might change the way we think about supply chain management. Amazon Disrupts The Last Mile! Now Amazon are taking their ownership of the logistics process to the last mile, all the way to your front door. Their big, hairy audacious goal? Same day delivery. Maybe even one hour delivery. That’s what you call instant gratification. They’ve already disrupted cloud computing with Amazon Web Services. If you’re a shareholder in Royal Mail, UPS or Fedex, it’s time to start worrying.